Hand Made Hand Painted Toby Jug. World Wide Limited Edition of 500. Free UK Post and Packing. Each Toby Jug Individually numbered on the base. 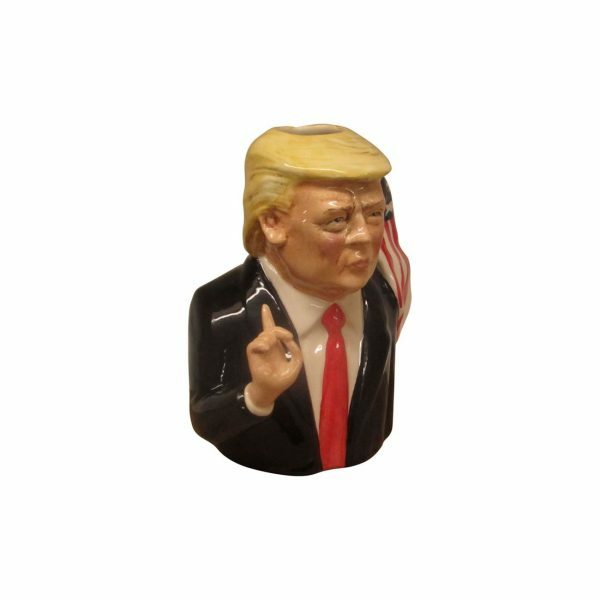 A President Donald Trump Toby Jug. 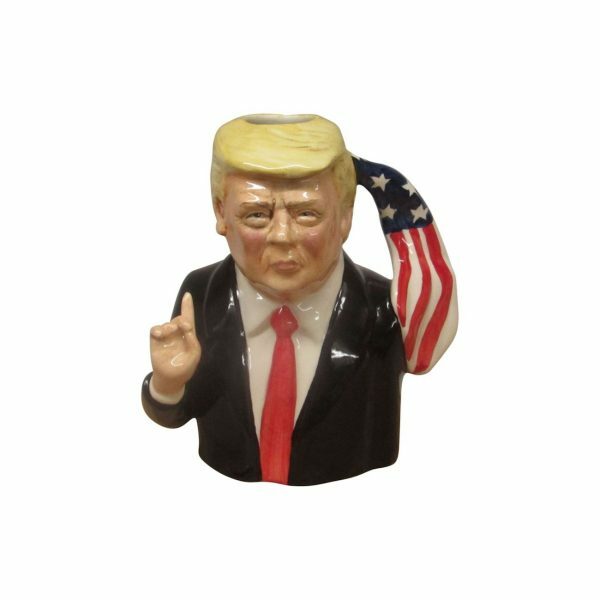 A Toby Jug that is hand-made and hand decorated, By Bairstow Pottery in their factory based in Stoke on Trent, Staffordshire, UK. This Toby Jug portraying Donald Trump. The 45th President of the United States of America, Is produced in a world-wide Limited Edition of only 500. With each Toby Jug being individually numbered on the base. And it was designed and modelled by the well known ceramic modeller Ray Noble. 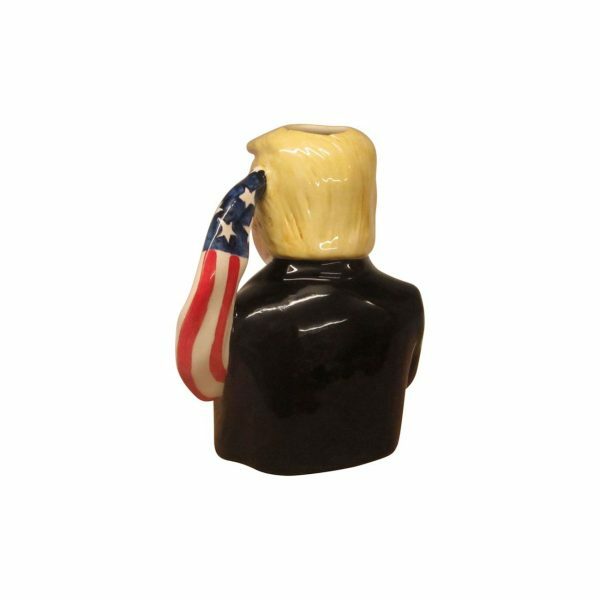 Our on-line price for this Toby Jug is £49.95. And this price includes UK Post and Packing. We also ship world-wide. And all our international shipping rates are discounted. In addition to this colour-way we are producing a special Limited Edition of only 100. In a Stars and Stripes colour-way. Which is priced at £149.95. 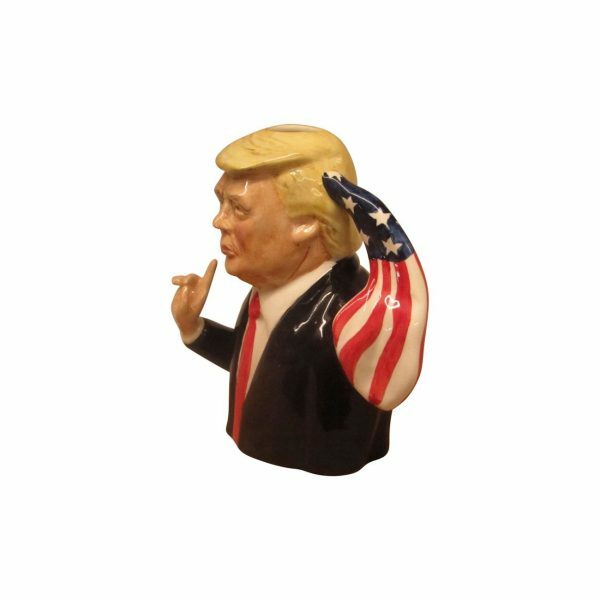 CLICK HERE to view the Stars and Stripes Edition of the President Donald Trump Toby Jug.